Amazon on Thursday announced a minor refresh of its Fire tablet that introduces new color and storage options. Available as of today, Amazon’s 7-inch slate is now offered in blue, magenta and tangerine in addition to the original black color scheme. It was initially sold with just 8GB of local storage but there’s now a 16GB option should you need more space. The 8GB Fire tablet retains its same $49.99 price point but you’ll need to part with an additional $20 if you go with the 16GB model. Amazon is also bringing its 16GB storage option to its Fire Kids Edition tablet which includes a “kid-proof” case and a two-year, worry-free warranty. Again, the 8GB variety sells for $99.99 or you can get double the storage for $119.99. Kevin Keith, GM, Fire Tablets, said Fire is the fastest-selling Amazon tablet ever, having sold millions since its launch. The executive added that they’re excited to add bright new colors and even more storage to the mix. It’s worth pointing out that most users probably won’t need to spring for additional local storage as both the Fire and Fire Kids Edition tablets feature a microSD card slot that can add up to 128GB of additional storage. If the slate is primarily used to stream video from services like Amazon Prime Video, Netflix or Hulu or listen to music from Spotify or Pandora, you’ll probably be able to get by with only 8GB of storage. 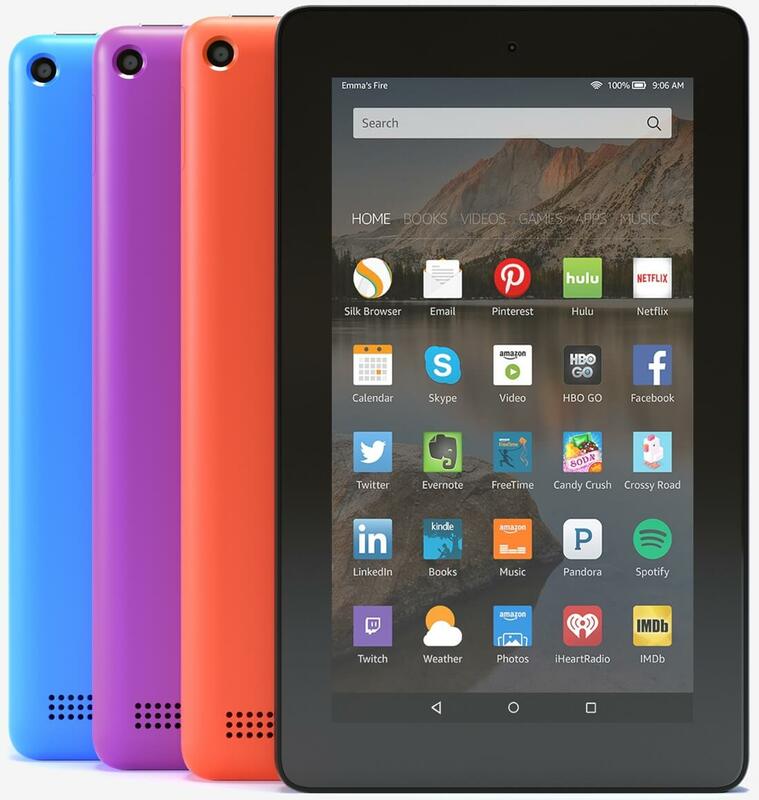 Amazon introduced its Fire and Fire Kids Edition tablets last September. Both feature a 7-inch IPS display operating at a resolution of 1,024 x 600 that’s driven by a quad-core MediaTek SoC clocked at 1.3GHz alongside 1GB of RAM. They’re not terribly powerful by today’s standards but with pricing starting at $49.99, you’ll be hard-pressed to find a better value.